The Jefferson (Philadelphia University + Thomas Jefferson University) Art Therapy program hosted the Delaware Valley Art Therapy Association Sept. 17, who held a three-hour workshop on creating origami folio books for use in the creation of safe spaces. 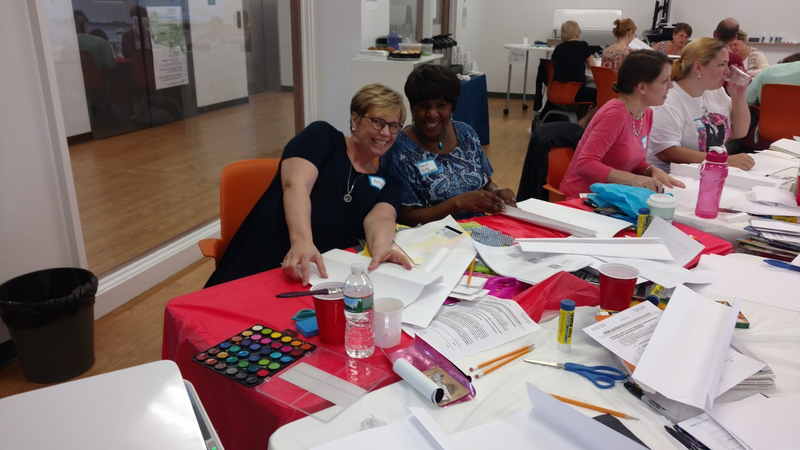 Art therapists Laura Bauder and Jefferson adjunct professor Mindy Jacobson-Levy led 23 attendees in the creation and discussion of this valuable therapeutic tool. Visit here for more info on the new M.S. in Art Therapy specialization in the Community and Trauma Counseling program.